In the summer of 2012, Juliet Doherty gave a talk at a TEDx conference in her hometown of Albuquerque, NM. She was the only teenager to speak that day—and, in a ballet costume and pointe shoes, the only person not wearing a suit. After her speech, during which she encouraged listeners to “be great," Juliet performed a solo. That was the day she got her first standing ovation. “The amazing thing," she says, “is that it wasn't just about my dancing. It was about the message I was trying to put out there." It's safe to say that won't be Juliet's only standing ovation during her ballet career. Now 16, Juliet is a student in the San Francisco Ballet School's pre-professional training program, and she's already collected a handful of professional performing credits (as Clara in the Radio City Christmas Spectacular and in San Francisco Ballet's Nutcracker) and competition wins (she won gold at the Youth America Grand Prix finals when she was 14). Earlier this year, Juliet competed at Prix de Lausanne in Switzerland. She talked to Dance Spirit about ballet competitions, Broadway and “being great." By the time this issue comes out, you will have competed at Prix de Lausanne, which was a longtime goal of yours. Juliet Doherty: This will be my first overseas competition. When I came to San Francisco Ballet two years ago, I talked to Patrick [Armand, the associate director of the SFB School] about it. He said I could compete right away, but I chose to train for a year with the school first so I could get the full experience without the added stress of competition. After a year of training, I filmed my competition application video. In November, I found out I had been selected to compete. Since then it's been a lot of rehearsing, working on my variation, learning my contemporary solo and adding my own artistry to the pieces. Which pieces did you prepare? JD: My age division had 10 variations and four contemporary selections to choose from. I chose the Swanilda Scene 1 Act 1 variation from Coppélia, and for my contemporary I picked “Saraband," from Vasos Comunicantes. Most of the contemporary options were a minute long, but this one is almost three minutes. I wanted to be challenged. Not everyone in the ballet world is on board with competitions. What's your take? JD: When you're dancing in a company, you're constantly under the pressure of performing and being looked at. I think the best way to get a taste of that at a young age is through competitions. Then, down the road, you can think, “OK, this has happened before. I know how to handle it." I try to bring everything I've learned at competitions into my performances. I have a solid technical base; my competition experiences won't hinder that. The SFB School is a big supporter of ballet competitions. Did that factor into your decision to attend? JD: Yes. I was competing at the YAGP finals in NYC in 2012 and took the scholarship class on the last day of the competition. That's when Patrick offered me a summer scholarship. I was 14 and starting to consider moving away from home to a pre-professional school. I got a few different offers that day, but I had a good feeling after talking to Patrick. I spent the summer at SFB and I loved it, so I stayed for the entire year. Now I'm back for my second year. I've also been lucky enough to perform with the company for two years as Clara in Nutcracker. How'd you get that role? JD: People just came into class for five minutes with a clipboard and watched us during barre combinations. Then four of us got calls later saying we'd been cast. It's neat because I got to work one-on-one with Helgi Tomasson [SFB's artistic director]. As a student, we're always looking at Helgi wondering, “Who is this mysterious guy?" The first time we ever danced in front of him, he said, “Are you nervous?" We were hesitant to say yes, so we just nodded, and he said, “OK, you should be." But dancing Clara with SFB wasn't your first time being Clara. JD: I was Clara in the Radio City Christmas Spectacular for three years—two years on tour, and one year in NYC. Dancing at Radio City Music Hall, on that huge stage, was incredible. During our first dress rehearsal, we were doing our center bows, and I had to run off after my bow. I didn't realize how far I actually had to run to get into the wings! I could hear the director, Linda Haberman, yelling at me, “Keep running, keep running!" It took me so long to get offstage. Have you always known you wanted to be a ballerina? JD: No! I've danced my entire life—I grew up dancing at my great-grandmother's studio, Fishback Studio of the Dance—but even when I was doing Radio City, I wasn't set on ballet. I thought I might want to sing and act more. It was my mom's idea to take me to YAGP—she was my main teacher and coach until I was 14—so I went for the first time when I was 9. I was a brat then. I never wanted to practice my variation. But that summer, something clicked. I realized I had to change my attitude or no one would work with me. From then on, I decided I would pursue ballet, and I've become a totally different person. “I look back at when I was 6 years old and I had no idea how to do a jazz square. I was just onstage having fun. That's what audiences enjoy. They don't come to see a perfect performance—they come to be moved and to feel something." JD: I wake up around 7:30 am. I live in the student residences at the SFB School. The first thing I do in the morning is make my breakfast, which is usually a green drink. I take the public bus to get to SFB. I usually start with technique class or floor barre, then pointe or pas de deux, or special extra rehearsals. Each class is 90 minutes to an hour and 45 minutes. After my last class, I go about my day. I shop for groceries, do laundry or clean my room. Then I'll cook my dinner and squeeze in some schoolwork. I go to sleep between 10:30 and 11 pm. Any later than that and I can't function the next day. I have one class on Saturdays at 9:30 am, but I have the rest of the weekend free. How do academics factor in? JD: I'm doing an independent study online. I read a lot, and my work doesn't have due dates. I want school to be a part of my life, but it's not my main focus right now. JD: Juliet in Romeo and Juliet! Any idea which company you'll be doing that with? JD: I'd love to go to Europe—not necessarily with one company, but to dance on multiple stages, working with as many choreographers as possible. You were part of the workshop for Susan Stroman's Little Dancer in 2012. Now the show is potentially coming to Broadway, starring New York City Ballet principal Tiler Peck. Might we see you on the Great White Way someday? JD: It's really cool seeing dancers cross over into acting. I love when dancers are versatile and get opportunities to do more than just one thing. I don't think they've had auditions yet for the part I was workshopping, so I'm considering going out for it—we'll see! What's the most valuable advice you've ever received? JD: Every dancer struggles with being in her head. There's always that voice saying, “You're not good enough." Before competitions, my parents will remind me, “You're your own biggest competitor. Let go of everything you're holding on to. It will just get in your way. The only person trying to pull you down is the little voice in your head." Once I remember that, everything gets easier. It's an ongoing thing with me. Some days are horrible. But some days I exude all the confidence in my dancing that I want to have. It's just about quieting that voice. “You are already good enough to get where you want to go. You have greatness inside of you and it can be discovered at any moment. You don't need to be at a certain level to say, 'OK, now I'm great,' or, 'If I add this one thing to my repertoire, then I'll be good.' You're born with greatness. All you have to do is recognize that." Must-see TV: “Even though it kind of corrupted Albuquerque, I watch 'Breaking Bad' when I miss home. But since that show is so emotionally draining, I also like to watch 'The Carrie Diaries,' 'The Mindy Project' and 'New Girl'—I don't have to get involved, I can just follow along and laugh." If you were a superhero, what would your power be? “I just want to fly." Your go-to stress reliever: “Calling my parents at the end of the day." Strangest thing in your dance bag: “A banana holder. It's a hard, yellow plastic banana-shaped thing and it prevents your bananas from getting bruised. It's an amazing invention and I always have it with me." 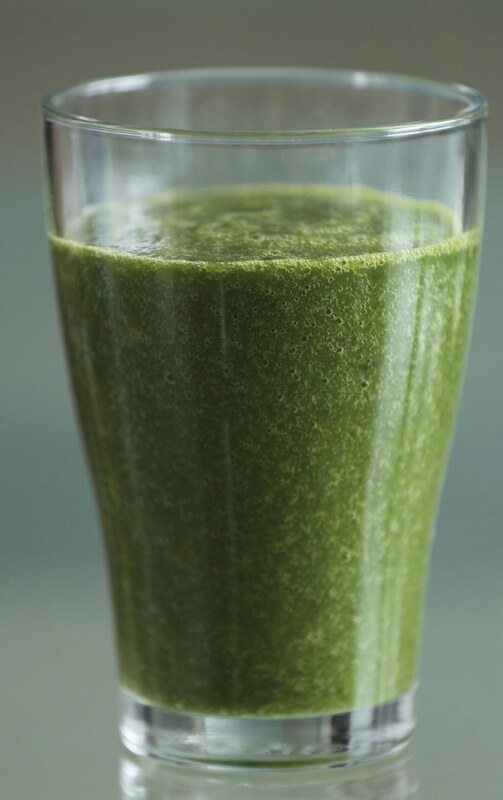 Start your day like Juliet—who follows a plant-based vegan diet—with this recipe for her “Super Green Smoothie." Combine a handful of kale, a handful of spinach, half a cup of any frozen fruit (she likes mango or mixed berries), a banana, 4 ounces of apple juice, 8 ounces of water and some flaxseeds in a blender. “The greens may seem scary at first, but trust me, the fruit makes it naturally sweet," Juliet says. “You'll feel energized and ready for whatever challenges the day may bring.